253 in stock Need More ? 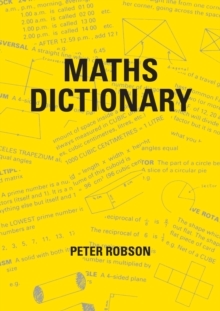 This dictionary includes explanations of over 200 mathematical words and phrases. Other features include: multiplication tables; table of squares and cubes; frequently-used fractions, decimals and percentages; metric and imperial units; simple coordinate graphs; angle and circle rules.